I hope your Diwali is in full swing. I have a holiday even on Monday that's why I'm trying to get some reviews done. 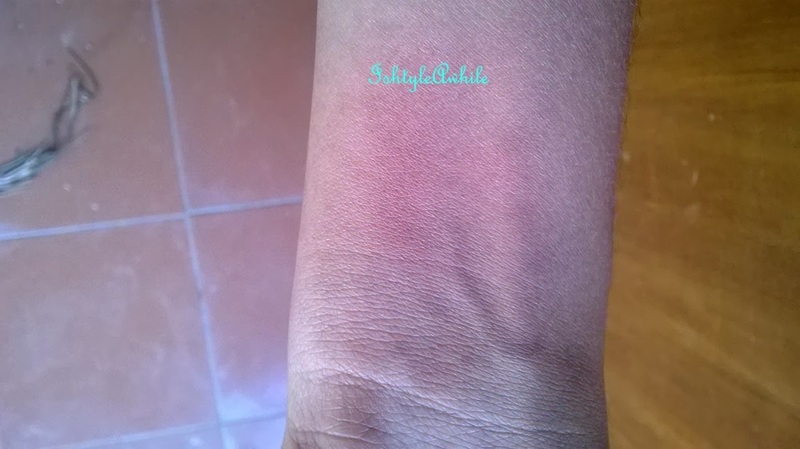 Today we'll look at a Blush Duo from Lakme. They are new in the market and haven't been around for very long. 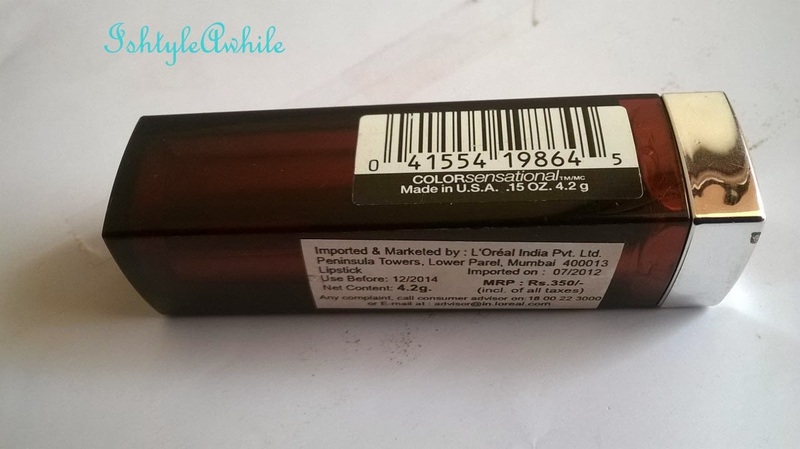 They are part of the Absolute range are slightly pricey in comparison to other blushes from this range and Lakme in general. 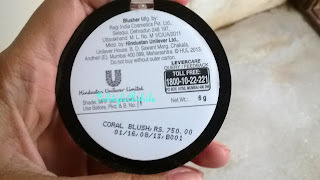 The good thing is you get 2 blushes for 750INR. The weight is 6g and I like the idea of a small amount of 2 blushes. This way I think I can hit pan at some point! 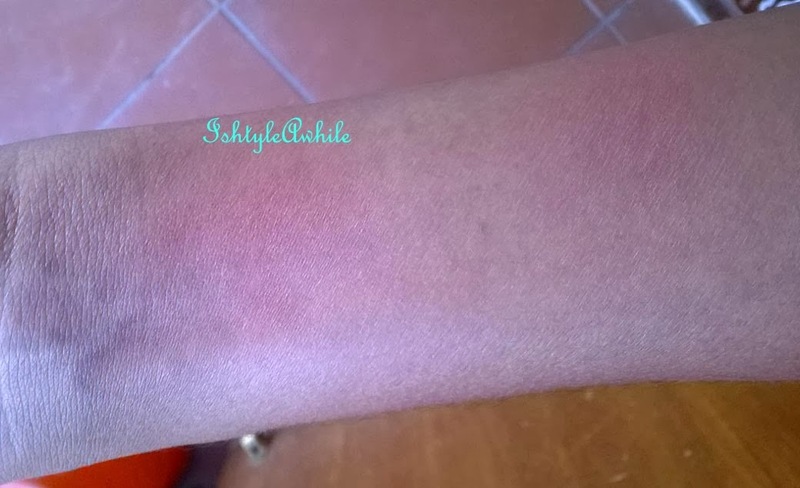 Speaking of the colour, the 2 colours are coral and pink. Both are bright. There is some amount of shimmer in it, It is NOT matte. But the shimmer just highlights it doesn't look too OTT. 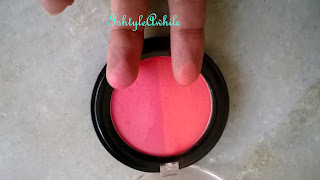 I think these blushes would be perfect for the summer season but don't fret that they just came out, the wedding season is around the corner and these blushes would look amazing for a modern take on a traditional look. 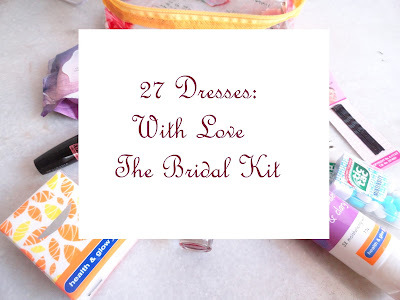 Maybe not for brides, but definitely for bridesmaids. 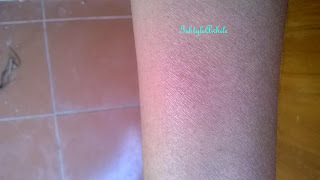 The pigmentation is good and lasts for about 4-5 hours. 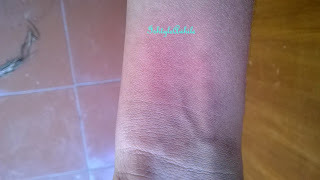 You would need to pick it up carefully and build up the colour on your cheeks. The colours are way brighter in the pan than on your cheeks. In fact the pictures don't do justice to the colours. I really like. There are 2 more duos in this range, but this is the one I like the most. 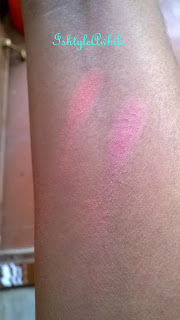 The other two are shades of pink and they didn't really call out to me. There are also eyeshadow shades,but I have waaay too many eyeshadows so I didn't buy them. The other nice thing is that you can actually mix the 2 colours to get a unique shade of blush. The texture is smooth and finely milled. The colours blend well and even when fading, it fades off evenly. There is some fall out on the sides of the pan. lasts for about 4-5 hours. For people who might use it every day, there may not be a lot of product. For those who are looking for a matte blush, this is not the best blush for you. Tip- don't swirl your brush, swipe it in the pan. Use a brush that is dense and it gives you a better colour pay off. So what do you think? 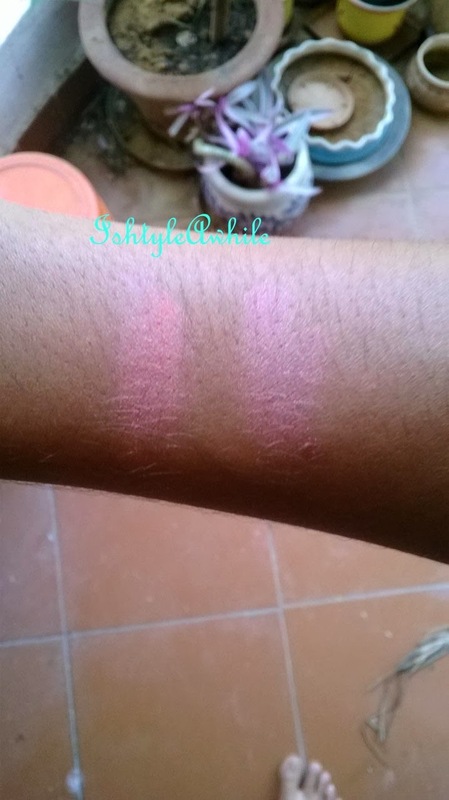 Do let me know if you try these blushes.